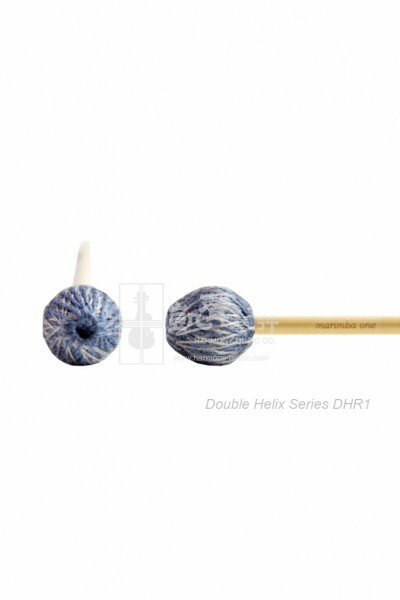 The Double Helix Mallet Series is a mid-weight line developed to bring out the warmth of the fundamental throughout the range of the marimba. The Double Helix are made with one synthetic yarn and one wool yarn wrapped with relaxed tension. Available in birch or rattan handles, each mallet in the series evokes a warm deep tone from the keyboard.